This tranquil Cottage offers a relaxing holiday or weekend - quiet yet five minutes walk from the square. 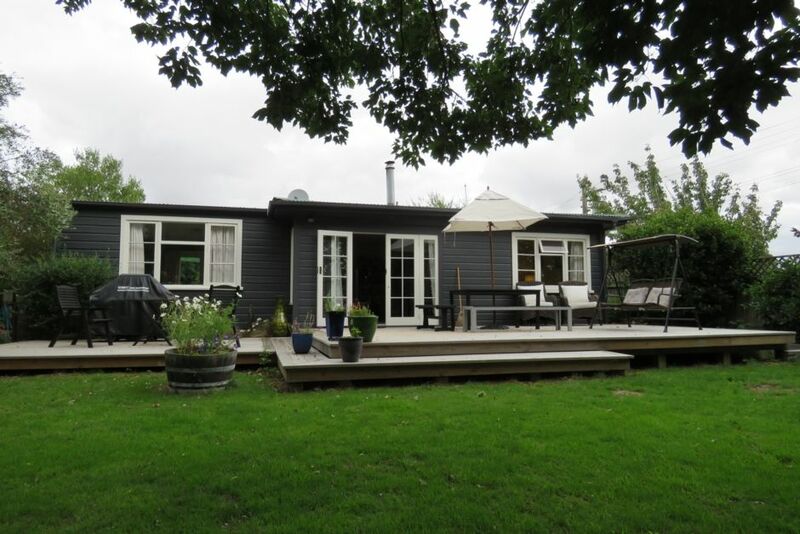 Gorgeous outdoor living areas....Martinborough has restaurants, bars and a movie theatre which are all within five minutes walk from here. Martinborough boasts an 18 hole golf course which is friendly and welcomes Visitors. Tennis Courts are at the end of the street. Numerous Vineyards all nearby. Great rivers for swimming and half an hour to the beautiful Ngawi , Lake Ferry and Cape Palliser. If you like tramping, lots of great opportunities in the nearby Tararuas via Mt Holdsworth. Bike hire is in the township, and biking around the Wineries is a favourite with Visitors. We loved staying at Sackville cottage, it was spacious, with lovely grounds and nice décor. It really felt like a home away from home. It was also easy walking distance to the square and many wineries. Superb location, lovely house that is fully equipped with everything you need. Well stocked, comfortable, warm cottage (even in the outdoor bedroom) in a perfect location. Lovely house, very homely and well set up. Lovely house, very homely and well set up. Great location and was really nice to have the fire all set up for us on a cold night. Highly recommend!